TEHRAN, July 10 -- A Chinese auto parts exhibition opened in Iran's capital Tehran on Tuesday. 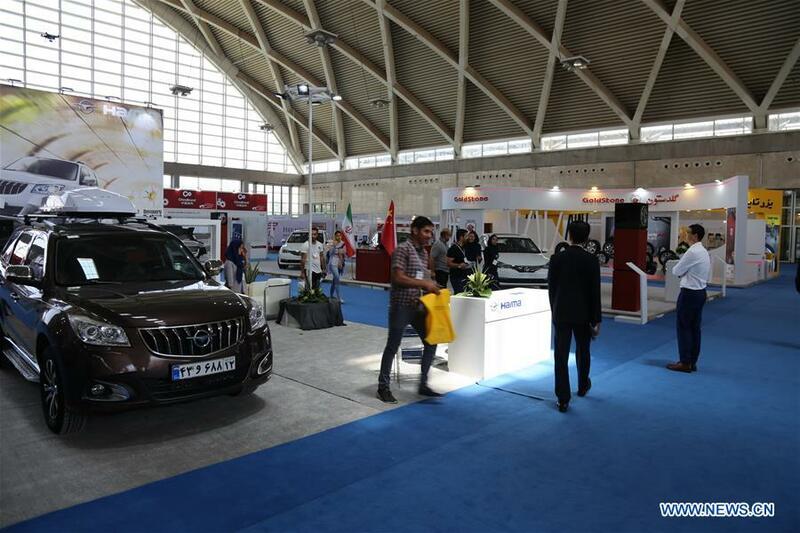 The expo, dubbed Tehran International Auto Parts Expo, is hosted by Chinese Ministry of Commerce and China National Machinery Industry International Co., Ltd. (SINOMACHINT). During the four-day event, more than 100 enterprises from China, Iran, Turkey and other countries and regions will display around 1,000 types of auto vehicles, parts, accessories, electronic systems, maintenance and repair services, lubricants and additives, tires and wheels. Meanwhile, a forum, themed "Opportunities and Challenges for the Development of Automobile Enterprises," will attract officials and enterprisers from China and Iran to exchange views. Yao Yuli, an official from China's Ministry of Commerce, told Xinhua that the exhibition is an active exploration of overseas markets by Chinese enterprises. The event will play an important role in promoting auto parts industry and trade cooperation between Chinese auto makers and their counterparts in Iran and other countries, he added. Mohammed Mallaki, general secretary of Iran's Auto Parts Industry Association, said the exhibition will help enterprises in the sector to make further exchange and cooperation in the future.